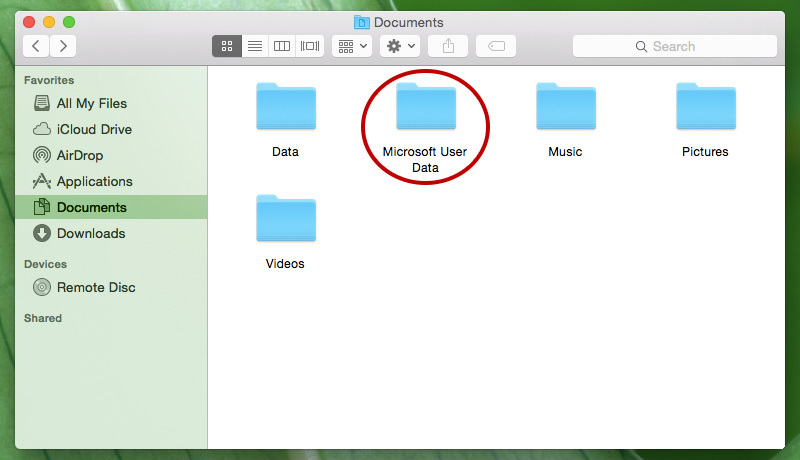 The “Microsoft User Data” folder is created in your Documents folder when you install Microsoft Office 2011 for Mac. It will always be there no matter how many times you try and delete it. It will be automatically recreated every time you open Microsoft Word, Excel or PowerPoint. First close any office app is open. Now open any office app like Word, Excel and PowerPoint. If your library folder is not visible take a look at How to Show User Library Folder in Mac OS. Now you have moved Microsoft User Data folder to in users library so when Microsoft Office try to find the settings and database, it will get it from user’s library so it will not create one at Documents folder. Thanks man it worked like a charm. What needs to be done to reduce it’s size? Its almost 14 GB. Hi, Karen, first check the contents of the folder as it can contain saved files. If there are any important file, back it up somewhere and then follow the steps.